Whitefield forms a significant part of Bengaluru. The area which was known for vegetables and poultry in the Anglo-Indian days has now turned out to be a commercial and residential spot. The suburb has grown tremendously because of the boom in the IT sector in and around this locality. You can find International Tech Park ITPL and ITPB in this region of Bengaluru. The city welcomes outsiders especially the techies across India. Whitefield has many international schools, malls, hotels, residential projects, social infrastructures, and super speciality hospitals. The Sathya Sai Baba ashram located nearby Kadugodi is one of the renowned places you can find here. With hundreds and thousands of vehicles travelling in the streets of Whitefield, it is not a surprise to witness the traffic around the clock. If you work in this area or travel by this route for your office, you might have seen the crowded state of Whitefield streets. Do not worry, if you have ever planned to learn car driving in this area, SharpDrives will make your dream come true through its highly sophisticated car driving training courses. We have a team of skilled instructors who will assist you to become an expert driver in the busy streets of Bengaluru. Be it a narrow road or a crowded one; we promise you to offer all the essential training on car driving right from scratch. SharpDrives helps you learn car driving in Whitefield with ease. Our only focus is to make you an expert driver and see you drive stress free on the busy streets of Bengaluru. We have a team of experts who provide all the essential training within your course period. You might have struggled to drive on the traffic-filled streets of Whitefield before but it will not be the case now! It is a promise from SharpDrives that you can drive confidently with a smile on your face by the end of your course. Book your session today to know the difference yourself. We offer car driving lessons in your own car at your own comfort. Hence you will be driving with perfection even after your course. Also, our team will guide you to drive in the challenging areas of the city. 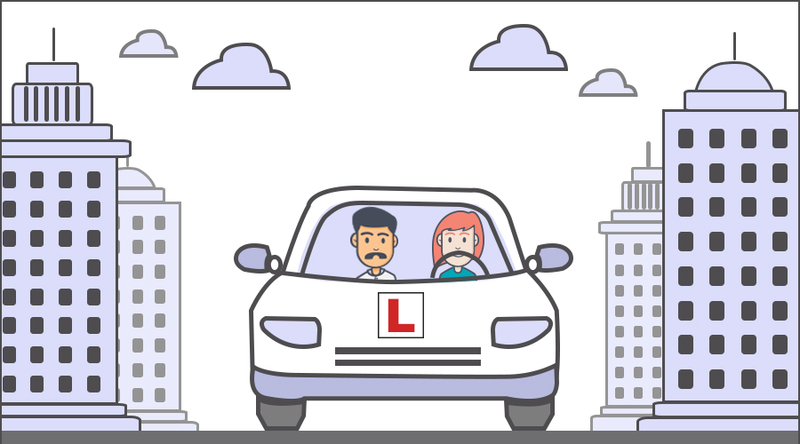 These lessons will help you drive safely in and around Whitefield like a professional and confident driver. Our courses come with an affordable price range that makes your every penny count. In case you have a shortage of time, you can opt for crash courses that cover all the necessary parts of car driving in a very less time. Hence you can save both your time and money by learning from Sharp Drives. Be it a beginner or a person who wants to level-up your driving skills in the traffic-filled areas of Whitefield; our instructors will offer the necessary training to help you become the best driver. It is no wonder to see the streets of Whitefield filled with buses, car, and bikes almost every time of the day. But comparatively, it has less traffic early in the morning. Hence, we recommend session from 6 a.m. to 8 a.m. to learn car driving in this city. In this session, we will also train you to drive on traffic-packed areas of Whitefield. Besides, you can change the class timings based on your convenience. We will always stick to your schedule. You should also note that our classes will remain open on weekends. So, you can opt for weekend courses if you are not free on weekdays. The best time for car driving training during weekends will be from 7 a.m. to 11 a.m.